Main character is Artemis Fowl and his mother has 'spelltropy' which is a mixture of all the diseases of the world. The only cure for this disease is the brain fluid of the Silky Sifaka which is a lemur but the problem is this particular lemur is extinct so Artemis Fowl travels back in time to the time when he sold the lemur to a group of extinctionists. Good cover – the cover illustrator is Bob Lea and Eoin Colfer always leaves the reader on the very edge of a chapter. Sleeping Beauty’s mum decided to live with King Rat – King Rat is bad. On Sleeping Beauty’s mum’s birthday they are still living together. Love dust on eyelashes causes you to fall in love. On Sleeping Beauty’s mum’s birthday they were going to hold a show but because of the love dust they have a wedding instead of a show. 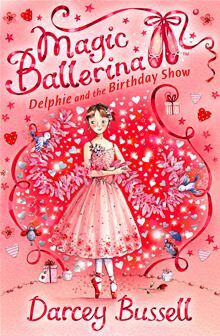 Delphie wakes up in the middle of the night and has a tingling feeling on her feet. It is her magic ballet shoes. It’s about this girl called Andy Walker and her big brother Bruce. Their neighbour Jerry Gordon who is the same age as them is mean to his dog Red Rover who is a red setter. They move from Mexico to aunt Alice’s house. Aunt Alice is allergic to all animals so dogs can’t go in the house. They find an old abandoned house nearby and they use this as a dog refuge and they look after lots of dogs there and so it became called the Hotel for Dogs. I really like the author’s use of lots of adjectives, it helps explain everything better. Driftwood by Cathy Cassidy - reviewed by Lily W.
A very sad book. It’s about a girl called Hannah and her older brother Kit and a friend Joey who is a girl. Joey is in an adoption family. Her family is fostering a new boy called Paul. Because Kit and Paul are the same age, Joey asks Kit to look after Paul. Kit is in love with Joey so he says yes. Very very sad at the end. You think it’s going to be a happy book but it doesn’t turn out that way. Martine and Ben go on a school boat trip. 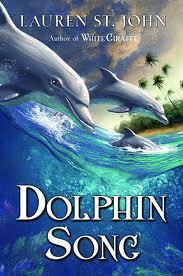 There is a gigantic storm, the ship gets wrecked but they are saved by dolphins. They are stranded on a desert island, they have to get their own food etc. People come and take them away to the island where they are doing sonar testing. This testing kills the whales and dolphins. Martine and 7 friends save the whales and dolphins who had beached themselves on the shore by putting water all over them. Their families are searching for them and the dolphins show the helicopters where to find them. This is about Harry and his 4th year at Hogwarts. There is going to be a tri-wiz tournament. There is a dark mark sent up to the sky. It is Voldemort’s sign. Professor Moody is the new 'defence against the dark arts' teacher. The goblet of fire will choose 3 tri-wiz champions. Harry’s name comes out as the fourth champion for random reasons. The first task is going to be hard – to make a charm so the goblet forgets there was a fourth champion. He ends up competing and wins the tournament. In the process though he is transported back and sees Voldemort return to his body. In the end everything is safe except that Voldemort has returned to his body. How to live forever by Colin Thompson - reviewed by Isabella (This is the first volume, the second is called The second for ever). There’s this boy called Peter who lives in a museum as his grandfather is the caretaker. Peter’s dad goes missing. Exploring the museum one night he follows a cat who leads him to a lady called Bathene who gives him a book who says ‘don’t look at it, destroy it’. The book is called ‘How to live forever’. She has read it and so has her son – ‘they are scary!' On the thirteenth level of the gallery at the museum they keep all the scary things. This book is full of exciting things happening, it’s really interesting. It’s a good storyline. The main plot is Peter's and his friend Festival's mission to destroy the book. Just when you feel like reading something light. It is about a girl called Darrell Rivers and she is going to boarding school for the first time. She is sad to leave her friends but above all she is really excited about Mallory Towers. The book is full of midnight feasts and playing tricks on teachers. The French teacher is the best one to play tricks on. There is a girl in it who all she cares about is her looks. She has promised her mum she would brush her hair 100 times every day. She is meant to wear it up at school but she wears it out. Mr Willy Wonka is the most fantastic chocolate maker in the world. He makes 5 golden tickets which he puts in 5 different things. Charlie finds one. Mr Wonka gives Charlie his factory when he is old enough. Really cool pictures. a new Library Writing Competition!